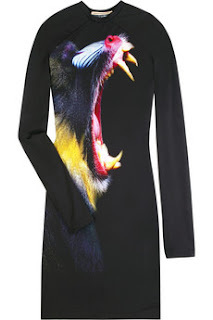 no objection for this kickshaw - just affection: christopher kane black jersey mandrill dress with round neck, full raglan sleeves to simply pull on. great emotion to put in a piece of clothing for SURE!! Nice dress, and the design looks like an emotionally drivenfetish! Blessed are the minds of those who come up with such exquisite designs.